Over the past few months, I started to stick to a regular fitness regimen. As a mother of 2 boys, I find it very hard to find time to “really” workout during the day or at the end of the day after they go to sleep. So…I started going to a Burn Bootcamp class at 5:30am!! Yes, I know, that sounds AWFUL. However, my kids and hubby are asleep while I am gone, and by the time everyone wakes up I worked out and most days even showered. Yes, I get to shower in peace and quiet…haha! Now, I understand a 5:30am workout is not for everyone (totally wasn’t for me either)! 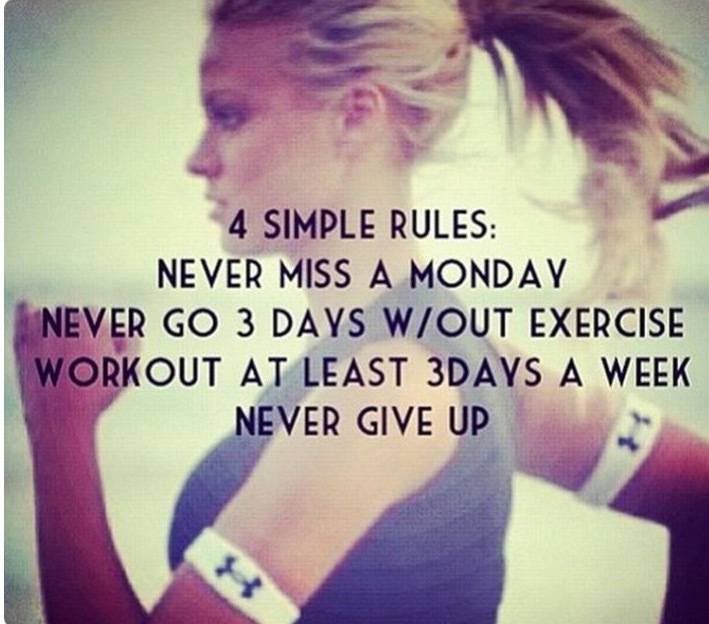 But… if you set fitness goals and find a routine that works for you, you can make it happen. I found this on Pinterest the other week and thought it was a great way to keep myself accountable. Hope it will help give others inspiration when starting/maintaining your fitness journey!